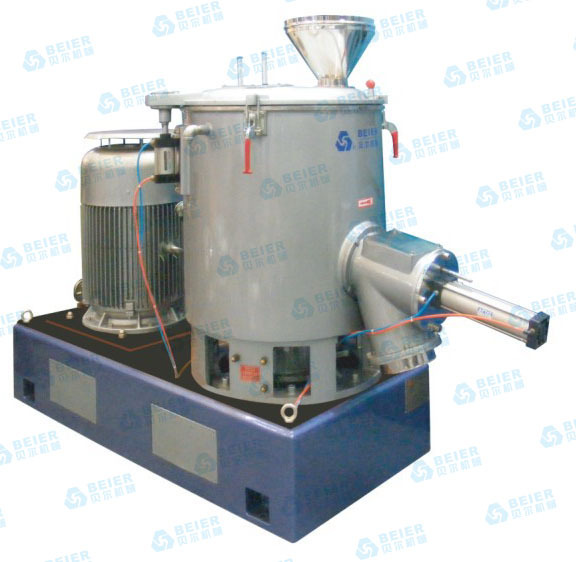 BEIER SHR series heater mixers are mainly used for mixing,colouring, drying and etc,in plastics, rubber, food-stuff .daily chemical industry and so on. SHR series heater mixer adopt advanced design and can be operated easily.safely and reliably.They have small size,light,weight high efficiency,low energy consumption and low noise.It is an ideal choice for you to buy such devices. 2,The newly installed tyres prone to loose must be checked regularly. 3,Pay attention to whether the work of all parts of the machine is normal. 4,Pay attention to inspect the wearing degree of the easy wearing parts, and pay attention to replace the worn parts at any time. 5,Put the movable device underframe plane,should go out of dust and other things,so that the heater mixer can not be broken material, movable bearing can not move on the chassis, so that a serious accident. 7,When the rotating gear is running, if there is shock, should stop the inspection immediately and eliminate.